Protocol and Canine offers a wide range of Canine Security Services that include Securing Empty Premises, Dog Security Patrols and Special Events. Within an ever-changing world, we have more leisure time than ever before. Events that encompass the full spectrum of leisure interests, from Sport to the Arts are growing in number and popularity. With this change there will always come a degree of risk, be it from public disorder and petty crime, to that of more organised criminal elements causing disruption. This means that organisers of such events have a duty of care to the public and therefore the need to display a vigilant and proactive approach to security. We are only too aware that in some cases this needs to be highly discreet but without compromise, and in others a highly overt presence is required. 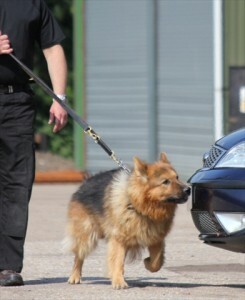 Protocol and Canine can offer a range of security services to suit your every requirement. Empty and/or unused property can be at risk from trespassers. Protocol and Canine’s team of professionals can give you the peace of mind that your premises are safe and secure. Protocol and Canine provides highly trained guard dogs to patrol and secure any premises. Their highly tuned senses of smell, sight and hearing means that our dogs can detect intruders or trouble makers with ease. Our bespoke mobile patrols mean that we can arrange regular patrols of your premises, these can be on a determined date or completely random and as frequently as you desire. Whatever the situation, Protocol and Canine Security Services is fully experienced in providing you with the right solution and complete peace of mind.